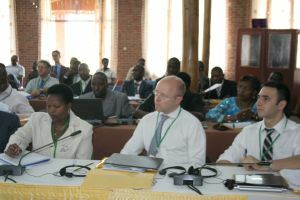 Main theme: "Towards a sustainable future for Congo Basin forests, their inhabitants, flora and fauna"
N.B. Besides this official agenda, an exhibition area will be available for CBFP partners to showcase and share information on their objectives, priorities, programs, activities and innovating results. A number of related events and areas for networking will be planned alongside the official agenda. 07:30 a.m. - 08:30 a.m.
Side event Drivers of Deforestation: Are we on the right track? TRAFFIC - COMIFAC and GIZ. N.B. The side events will help to showcase groundbreaking projects with tangible impacts as evidence of practical local and regional solutions to challenges facing Central Africa. Such projects will have to be scaled up and replicated and serve as a source of inspiration for people across the region. They reflect our commitment to protecting the Congo Basin’s future. Protected Areas 2.0: How to make conservation sustainable? 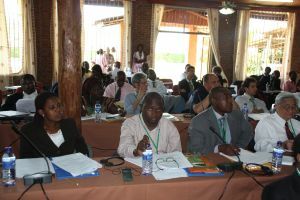 The role of small grants in leveraging grassroots voices on forest in the Congo Basin. Achieving the Sustainable Development Goals (MDGs) in Central Africa. Please download here below: Official Program, 17th Meeting of Parties of the Congo Basin Forest Partnership, 24 to 27 October 2017, Douala, Cameroon, Sawa Hotel. World Bank (PRREED+) and COMIFAC Climate Working Group. 16th Meeting of Parties of the Congo Basin Forest Partnership - Kigali, Rwanda, 21 to 26 November 2016, Kigali, Rwanda. As already announced, five streams will be organised for the 16th annual CBFP Meeting of Parties to be held in Kigali on 21-26 November 2016. Together with the partners that have agreed to lead the work of the respective streams, the EU Facilitation of CBFP has identified a set of key issues on which the work of the respective streams should focus. If you are interested in participating in the 16th Meeting of Parties of CBFP and related events, please register at the latest by 20 September 2016 by completing the Registration and clicking on the button "register".